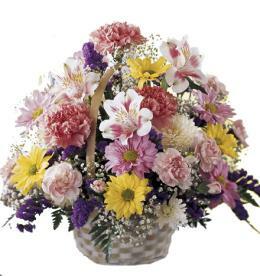 Lavender and white fresh flowers make a grand statement in this joyful bouquet. 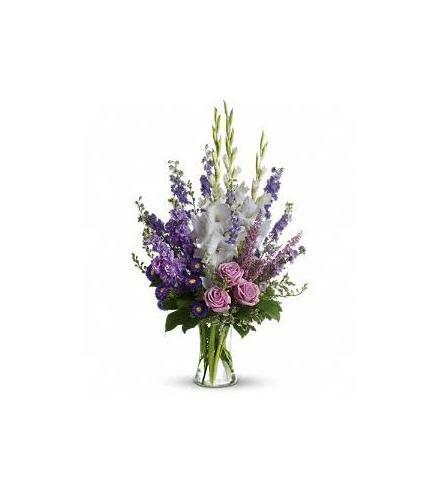 Cherish your memories with this lasting remembrance of lavender larkspur and roses, purple asters, and white gladioli if available.Luxury Flowers - Joyful Memory bouquet T251-1. 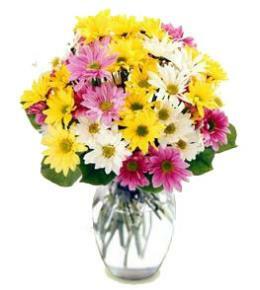 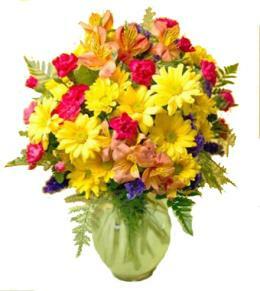 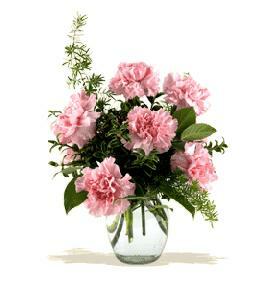 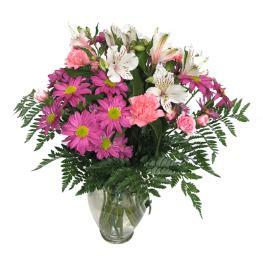 Arrangement Details: A classic assortment of flowers such as larkspur, stock and roses, plus asters, and gladioli. 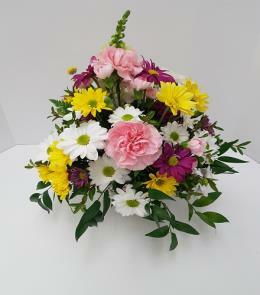 Many flowers are seasonal and others will be used in this design if some are not available.